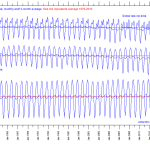 For alarmists, it does not seem to matter that the strength and frequency of tropical storms have been decreasing in recent years, while the rate of sea level rise has fallen to about seven inches per century. Nor does it seem to matter that the lost lives and property have little to do with the storms’ sheer power. Their destructive impact was caused by their hitting heavily populated areas, where governments had not adequately informed citizens of the size and ferocity of imminent storm surges, too few people had evacuated – and people, buildings and emergency equipment were insufficiently prepared to withstand the furious storm onslaughts. The alarmist cries are not meant to be honest or factual. They are intended to generate hysterical headlines, public anxiety about climate change, and demands for changes in energy policies and use. China is rapidly becoming one of the richest nations on Earth. It is by far the largest single emitter of carbon dioxide, which alarmists claim is causing “unprecedented” storms and sea level rise. 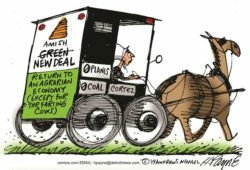 And yet at the recent UN-sponsored climate talks in Warsaw, China led a walkout of 132 Third World countries that claim First World nations owe them hundreds of billions of dollars in “reparations” for “losses and damages” allegedly resulting from CO2 emissions. The Obama Administration brought (perhaps “bought” is more apt) them back to the negotiating table, by promising as-yet-unspecified US taxpayer money for those supposed losses. Details for this unprecedented giveaway will be hammered out at the 2015 UN-sponsored climate confab in Paris, safely after the 2014 US mid-term elections. Meanwhile, a little history will be instructive. In 2008, presidential candidate Barack Obama proclaimed, “This was the moment when the rise of the oceans began to slow.” He was actually right. Sea level rise has slowed, but not because of CO2 emissions, which are still increasing. Mother Nature cannot be bought. Sea level changes over relatively recent geologic and human history demonstrate that alarmist claims do not withstand scrutiny. 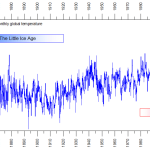 Sea levels rose significantly after the last ice age, fell during the Little Ice Age, and have been rising again since the LIA ended around 1850. In fact, Roman Empire and Medieval port cities are now miles from the Mediterranean, because sea levels actually fell during the Little Ice Age. During the deepest part of the last ice age, known as the Wisconsin, sea levels were about 400 feet lower than at present. As Earth emerged from the Wisconsin some 18,000 years ago and the massive ice sheets started to melt, sea levels began rising. 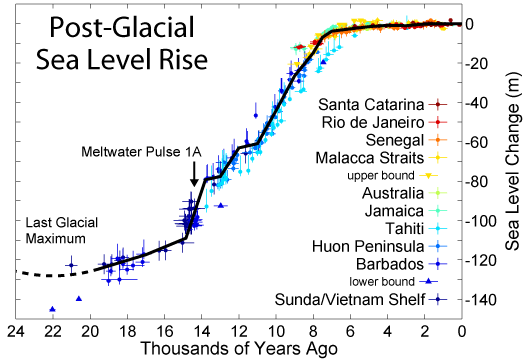 Rapid sea level rise during the “meltwater pulse phase,” about 15,000 years ago, was roughly five meters (16 feet) per century – but then slowed significantly since the Holocene Climate Optimum, about 8,000 years ago. Those rising oceans created new ports for Greek and Roman naval and trade vessels. But today many of those structures and ruins are inland, out in the open, making them popular tourist destinations. How did that happen? The Little Ice Age once again turned substantial ocean water into ice, lowering sea levels, and leaving former ports stranded. Not enough ice has melted since 1850 to make them harbors again. The ancient city of Ephesus was an important port city and commercial hub from the Bronze Age to the Minoan Warm period, and continuing through the Roman Empire. An historic map shows its location right on the sea. But today, in modern-day Turkey, Ephesus is 5 km from the Mediterranean. Some historians erroneously claim “river silting” caused the change, but the real “culprit” was sea level change. Ruins of the old Roman port Ostia Antica, are extremely well preserved – with intact frescoes, maps and plans. Maps from the time show the port located at the mouth of the Tiber River, where it emptied into the Tyrrhenian Sea. The Battle of Ostia in 849, depicted in a painting attributed to Raphael, shows sea level high enough for warships to assemble at the mouth of the Tiber. However, today this modern-day tourist destination is two miles up-river from the mouth of the Tiber. Sea level was significantly higher in the Roman Warm Period than today. Previous Previous post: Is Earth in Energy Deficit?